FREE Handmade Items, Home Decor, Clothes + More w/ $10 Copious Credit! EDIT: If you only get $5 credit, share your personal invite link. This should get you the other $5. 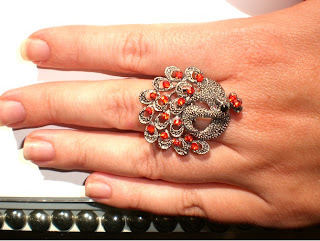 I haven't browsed around much, but I found this interesting peacock ring pictured above priced at $4. 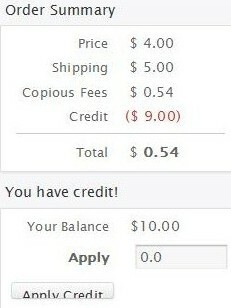 You can use your credit to cover the price and shipping, but not the "Copious fees", which was $0.54 for this item. NOTE: A lot of items include free shipping, and some also don't have a Copious fee. 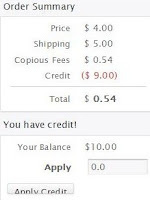 Even if you can get something completely free, they will still need to charge your CC for $0.01 to verify the purchase. You will not be charged until you receive the item. There are tons of items under $10 that you could score for free or for super cheap. NOTE: Click on "Explore" at the top of the homepage, pick a category, and you can sort by lowest price to make finding freebies easier. I found clothes for adults and babies, shoes, home decor, handbags and tons more....all FREE with credit! 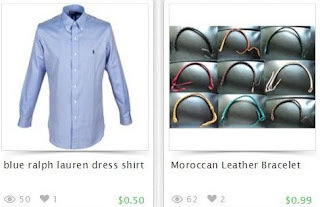 Click here to create your account and start browsing! NOTE: Even if you can get something completely free, they will still need to charge your CC for $0.01 to verify the purchase. You will not be charged until you receive the item. this looks great! I"m going to check it out! Thank you!